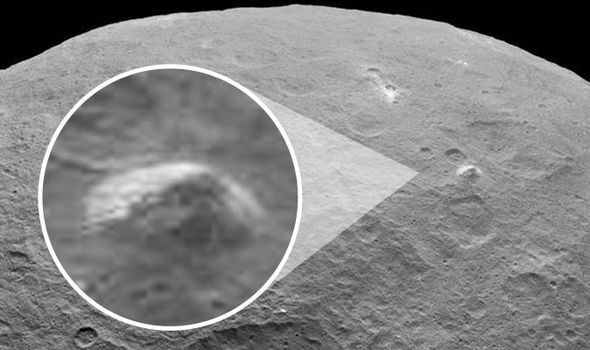 NASA's Dawn Spacecraft is flying 240 miles above Ceres, and the images it is capturing are revealing fascinating characteristics of the minor planet's surface. Ceres lies between Mars and Jupiter. It is one hell of mysterious dwarf planet. NASA is pretty sure something really strange going on this minor planet. I will be honest, yes I used word “Pyramid” on purpose so people could give it more attention. And it really does looks like a Pyramid. See for it yourself in the video below and learn something new today. This video was originally posted on Bussiness Insider. This video was produced by by Emma Fierberg. Original reporting by Jessica Orwig.